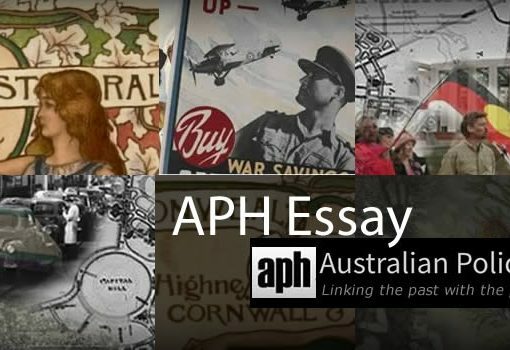 The following essay addresses two of three key questions presenters at a recent Australian Policy History Network event, focused on Historical perspectives on current policy challenges. How would you see the specific focus of your research fitting within a longer-term pattern or process of policy interventions in this area? Politicians, academics, politician/academics, security scholars, military members and many others have worked to improve the Australian-Indonesian relationship for as long as there has been an Australian-Indonesian relationship. Those same actors and many others have managed to do things that allegedly threaten the Australian-Indonesian relationship for as long as there has been an Australian-Indonesian relationship. Reactions to these negative and positive interventions or activities have led to further interventions and activities and so on. According to Ken Ward, we should just accept that the relationship between Australia and Indonesia is “condemned to crisis”. But research from the Australia Indonesia Centre tells us, that according to polling, the relationship is relatively stable. One other stable and consistent element to the Australian Indonesian relationship has been the provision of scholarships by the Australian government, for students to study in Australian universities and colleges. The first scholarships were provided to Indonesian students as early as the late 1940s. The more recent iterations of these scholarships, and those that form the basis of my research are the Australian Development Scholarships (known as the ADS), and the Australia Awards. There have been larger scale interventions – such as the Australian Partnership Scholarships (APS), which was approximately 500 scholarships implemented as part of the post-tsunami aid package provided to Indonesia. While the overall nature of the scholarships has remained relatively constant – the detail – selection of candidates, selection of courses (including the level of study), the extent of support provided to awardees and the extent of support provided on and post-award is intrinsic to the programs outcomes, and is changeable. It is the nuance, the administration, or perhaps the “adminis-trivia” that is the crux of a scholarship program. It is all well and good to say that you want to have a scholarship program that brings the talented, the best and brightest, from Indonesia, to study at Australian universities. But when administrators then tie that to particular targeted organisations – because they wish to improve the effectiveness of that particular department – they are then working with a very different pool of candidates. And when “extractive” industries is a priority area of study, the pool of eligible candidates is changed again, most probably preferencing male candidates. When additional financial support for those intending on bringing their family with them on their study experience is cut, the dynamic and the pool of candidates is changed again. And crucially, when periods of study are reduced in order to reduce costs, it may in fact be affecting the longer term outcomes that will come out of the program. Scholarships, like many tertiary education aid programs, suffer from a distinct lack of data. The Australian government has over time kept patchy records of students on return (although this has been changing in recent years), and have not conducted systematic research to understand the impact of the scholarships on individuals and their communities. Unfortunately much of the assessment of impact is done essentially on the basis anecdotes, X studied at Monash in the 1970s, and is now Minister for Blah blah, therefore the program is successful. But from these, mostly positive, anecdotes and profiles, we don’t get a real sense of the success or failure of the program. Of interest to me is also finding the opposing view – those who see their scholarship as having not been successful. The alumni who had a terrible experience and now don’t wish to talk about it. And how do we know that those who didn’t get a scholarships wouldn’t have gone on to become Minister for Blah Blah anyway? In what ways can your research inform current debates about policy formulation/implementation/reform? But on to how to how my research may inform current debates about policy formulation. This is an interesting question, partly because the Australia Awards scholarships are in a state of flux at this very moment, with significant funding cuts forcing significant changes to the structure and manner of the scholarships. Seemingly small changes to the administration of scholarships can vastly change the outcomes of the scholarship. But will these changes impact on the Australian-Indonesian relationship? If you ask the current Australian ambassador, probably not. At a recent event in Melbourne he admonished those who concentrated on the reduction in the number of Australia Awards scholarships for looking at the wrong thing. While he considers education a key plank of the relationship, he thinks privately funded students are more significant. I would like to find out, through my research, if that perception is true of the Indonesian bureaucracy and political class. 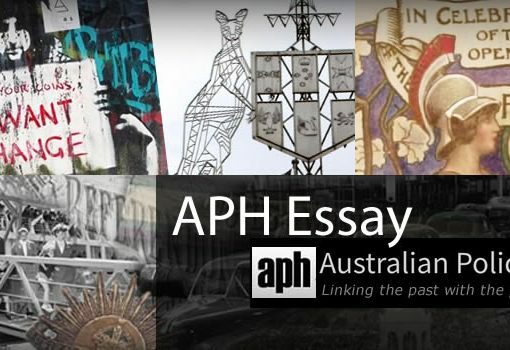 Even if the scholarships are not hugely significant in the future of the Indonesian Australian relationship, these scholarships have played a significant role in the historical relationship. Just how policy development, change and implementation has impacted both on the relationships between people, and the ongoing relationships between institutions and the nations more broadly is of great importance when it comes to interpreting and navigating these relationships into the future. ‘Australia–Indonesia Partnership for Reconstruction and Development’, In: Trade DoFAa (ed), Commonwealth of Australia, Canberra, 2005. 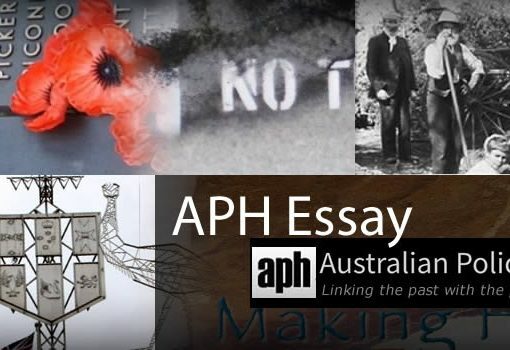 Purdey, J, ‘Scholarships and Connections: Australia, Indonesia and Papua New Guinea’, Alfred Deakin Research Institute Working Paper Series, Number 46, 2014. Sobocinska, DA, ‘Australia-Indonesia Attitudes Impact Study- Historical’, The Australia Indonesia Centre, Melbourne, 2015. Ward, K, Condemned to Crisis?, Penguin, Sydney 2015. Note: This is an edited version of a presentation to a workshop of the Australian Policy History Network on 1 November 2016. K Ward, Condemned to Crisis?, Penguin, Sydney, 2015..
 DA Sobocinska, ‘Australia-Indonesia Attitudes Impact Study- Historical’, The Australia Indonesia Centre, Melbourne, 2015. J Purdey, ‘Scholarships and Connections: Australia, Indonesia and Papua New Guinea’, Alfred Deakin Research Institute Working Paper Series, Number 46, 2014. Citation: Anna Kent. Education Scholarships and the Indonesian Australian Relationship. 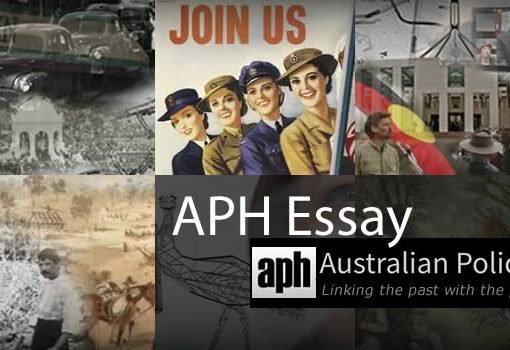 Australian Policy and History. December 2016.